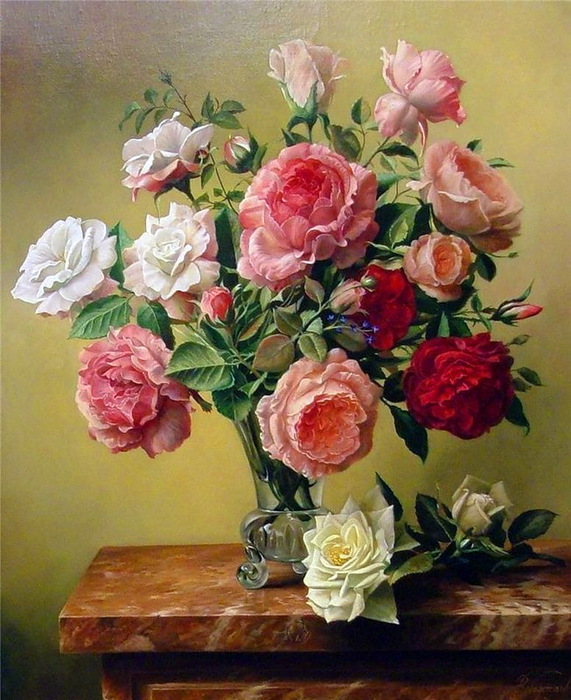 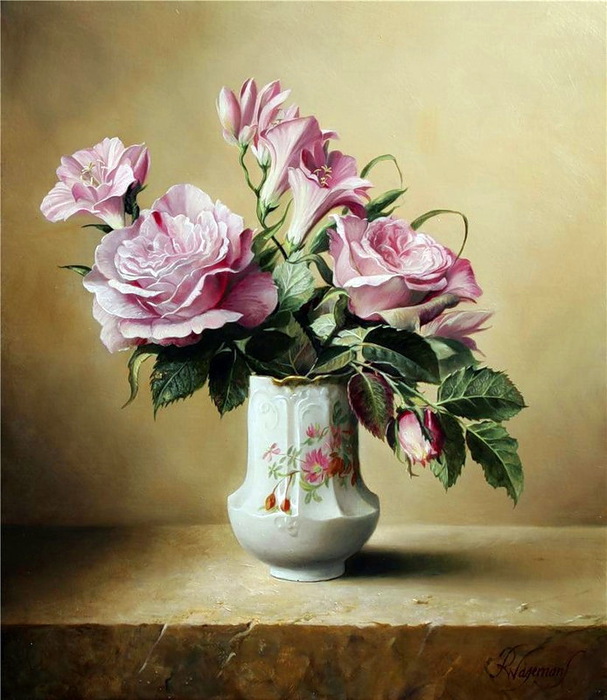 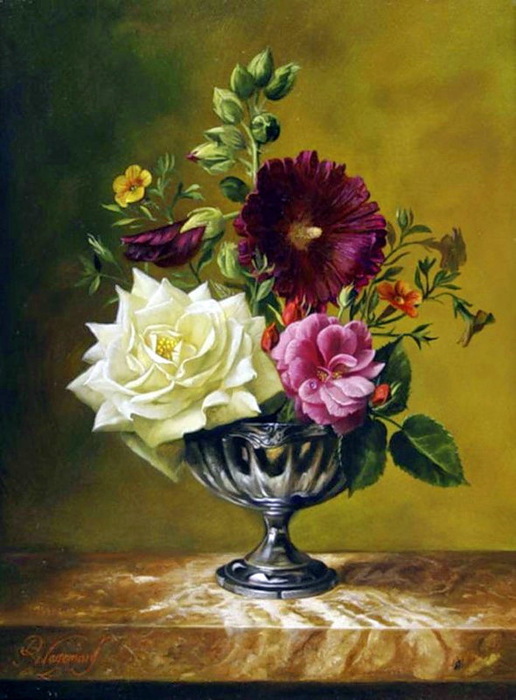 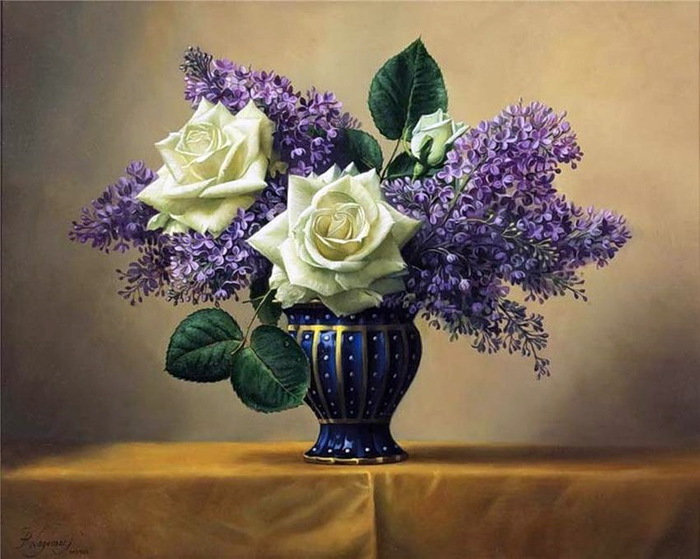 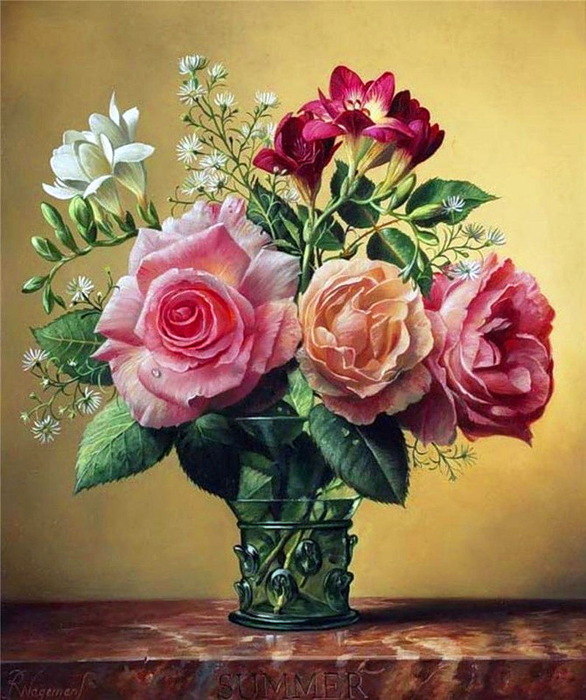 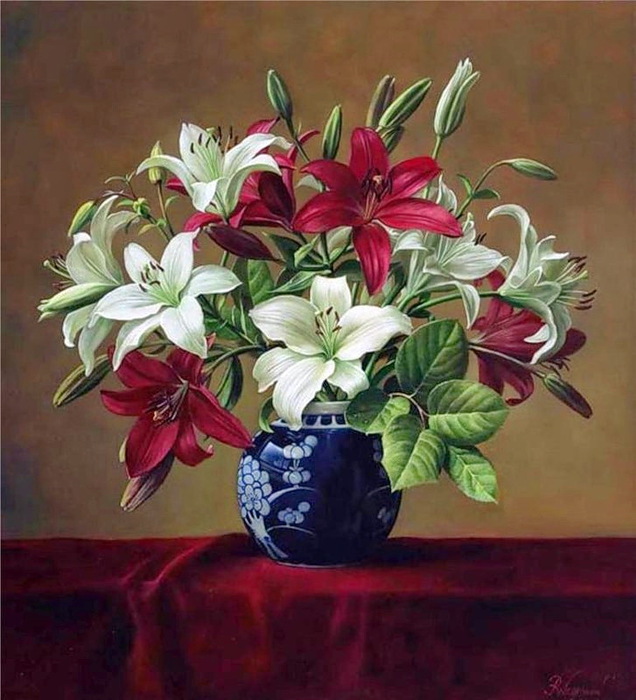 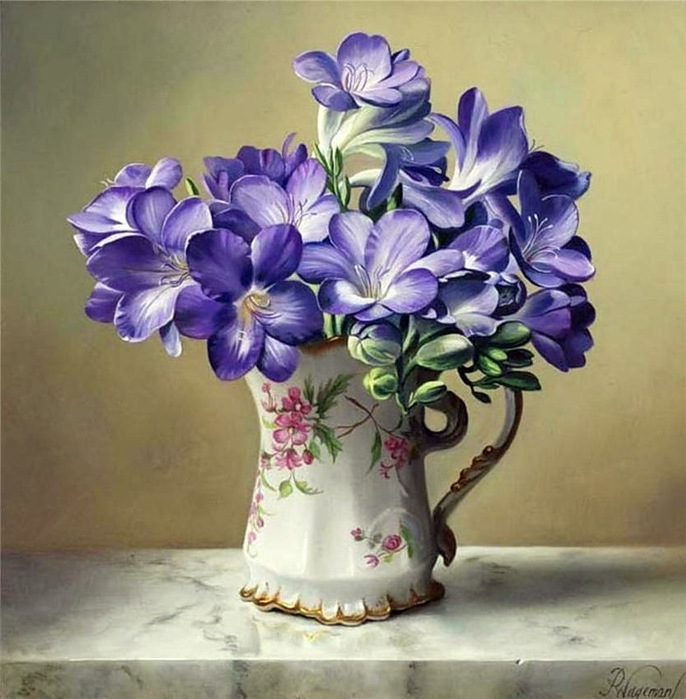 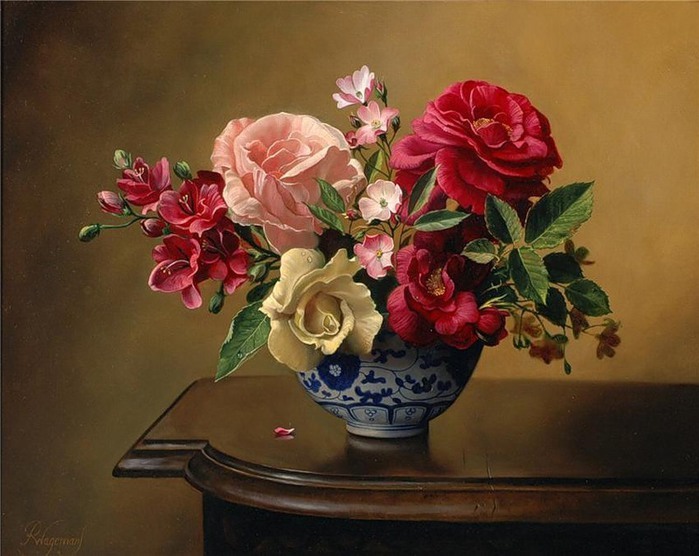 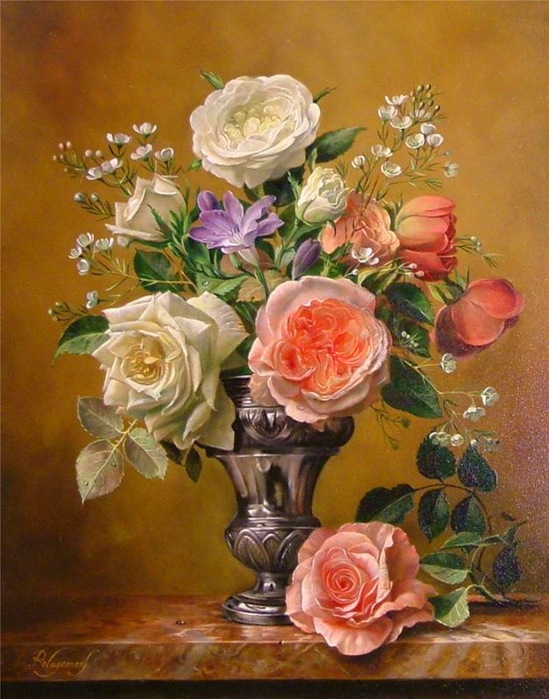 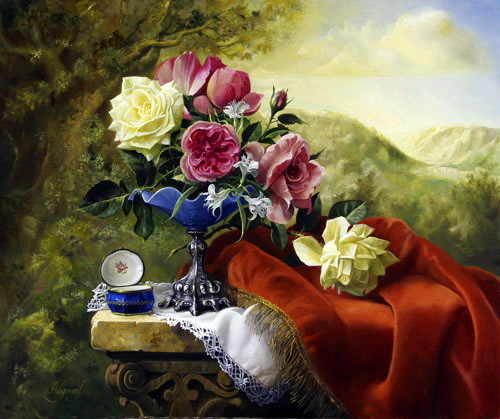 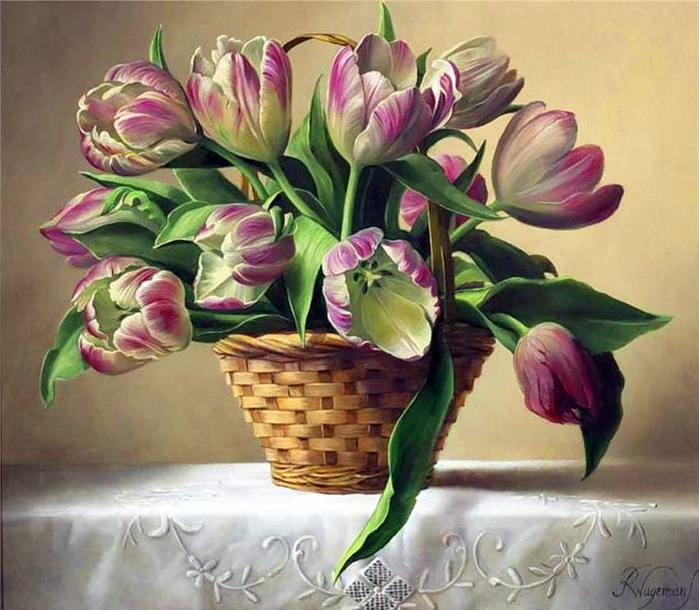 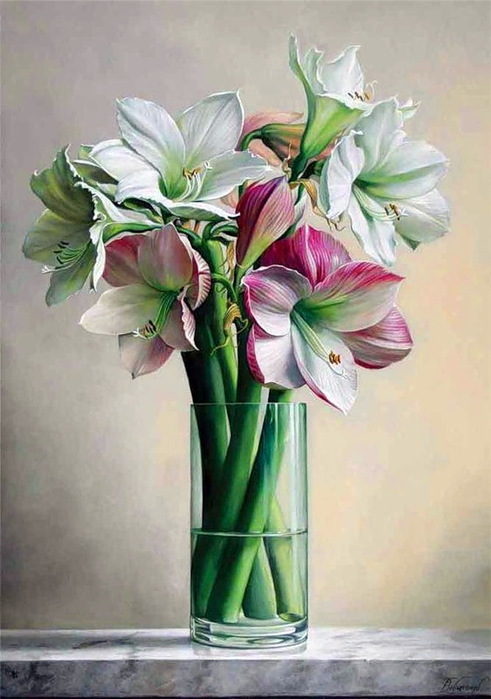 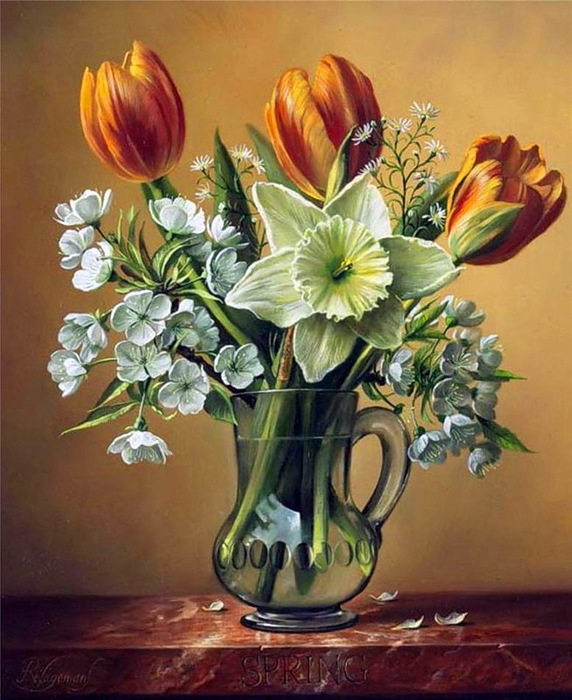 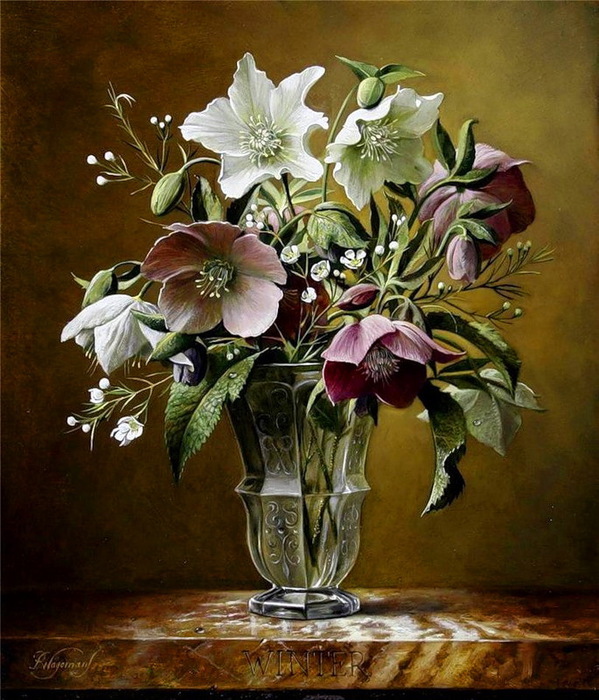 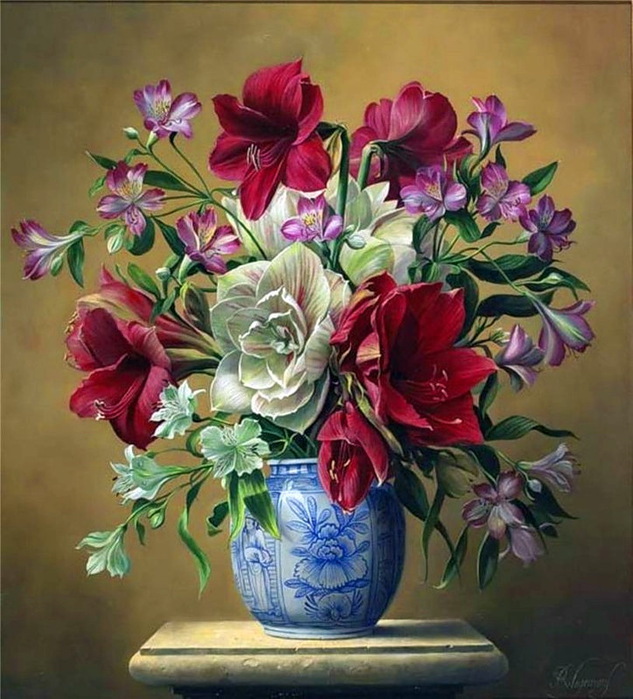 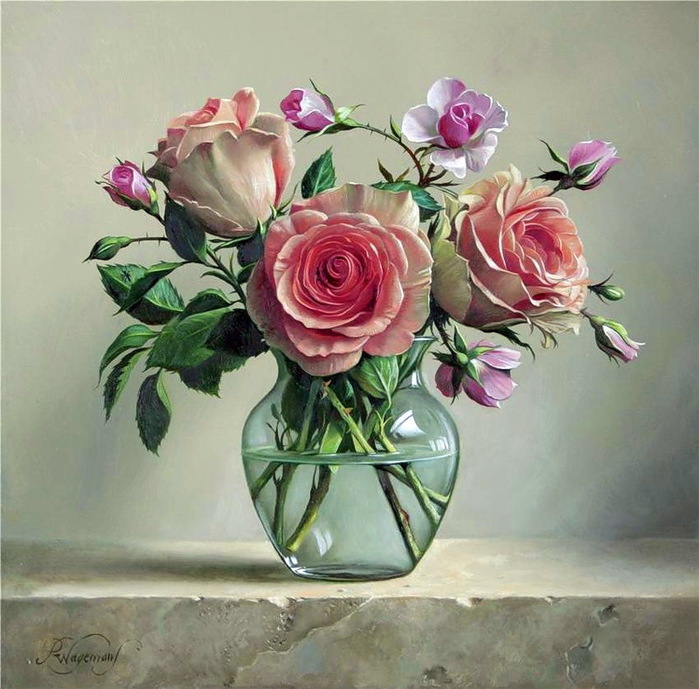 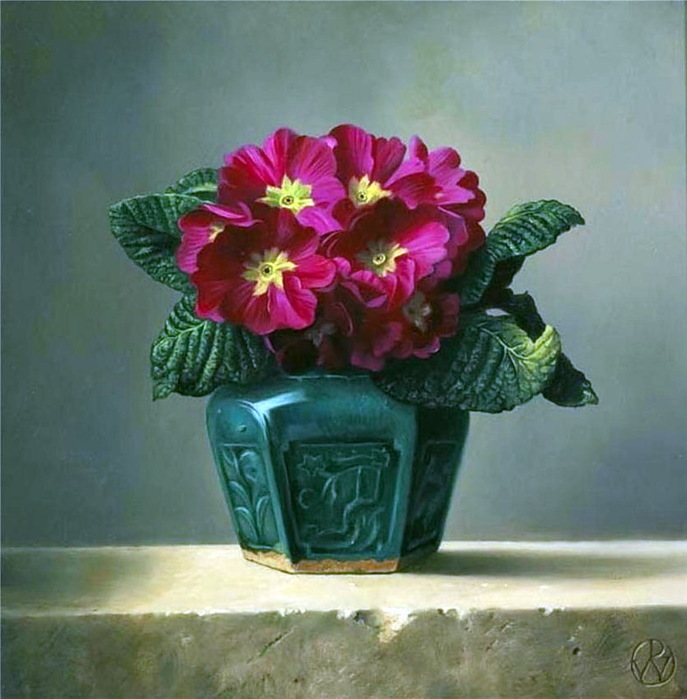 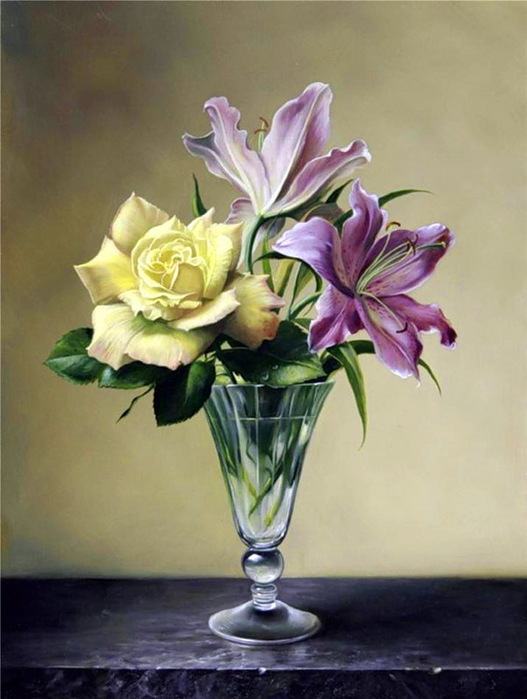 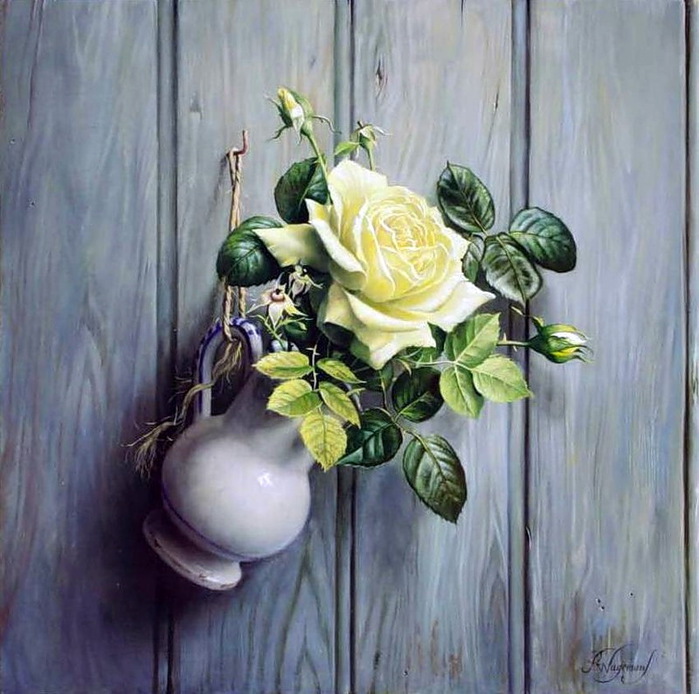 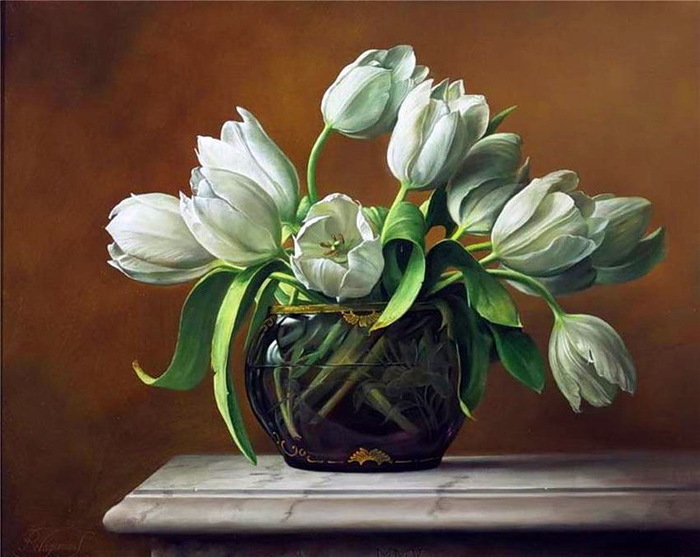 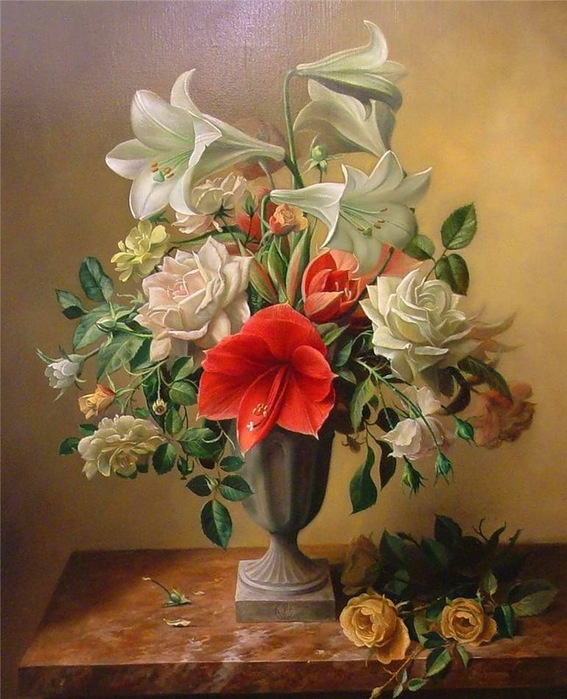 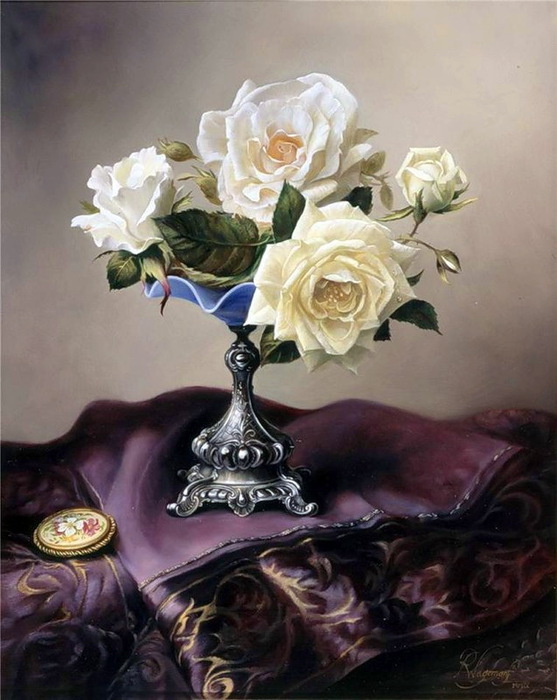 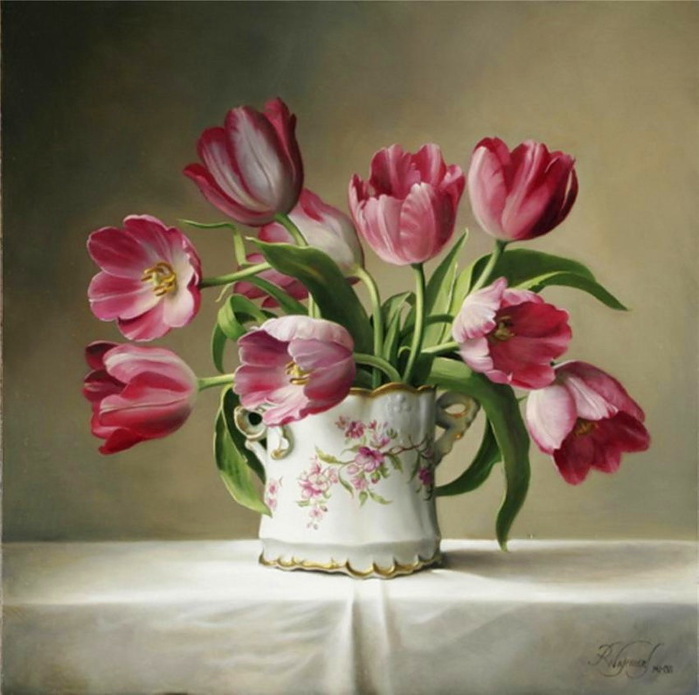 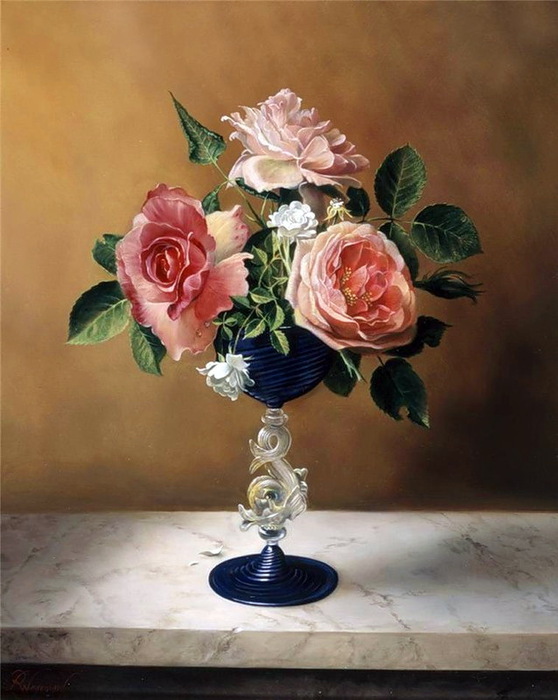 Pieter Wagemans is a painter from Belgium, who is considered to be a master of the flower still life. 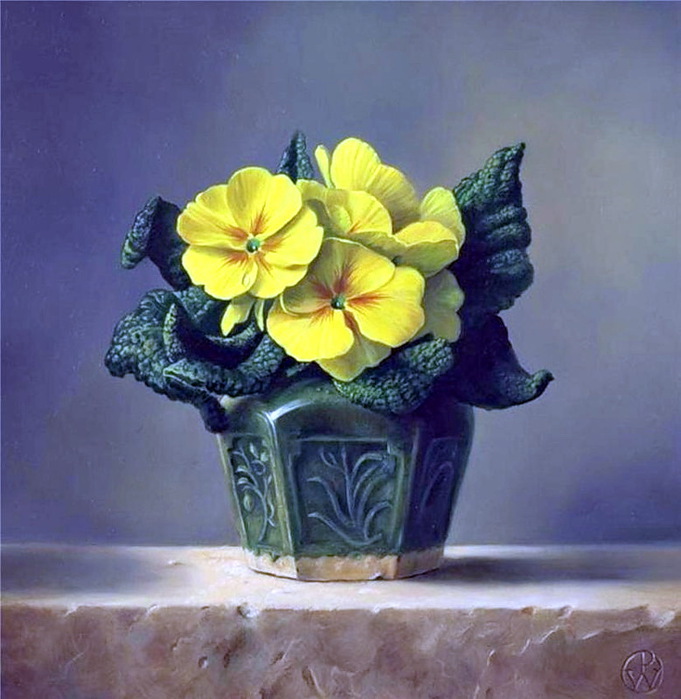 He inherited his gift from his father. 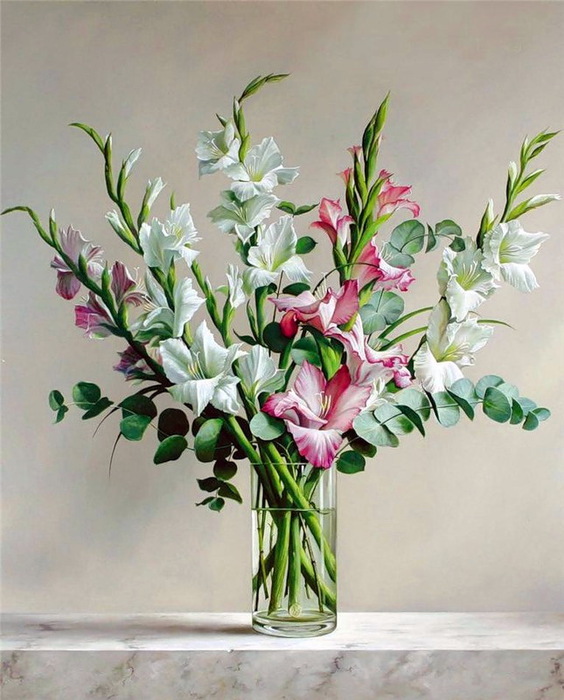 The artist is very attentive to details, and sometimes it takes the entire day to paint one flower of the bouquet.